Some might say that Cambridge is defined by an absurdity: it is a tiny medieval market town that was, for centuries, discreetly colonised by monks and nuns, which grew into a world-renowned university, and is now bursting at the seams with science parks, the highest of high-tech companies, and biomedical research facilities. In a triangular district tucked away in north west Cambridge there will soon be more PhDs and tech-geeks per square foot than anywhere else on the planet. 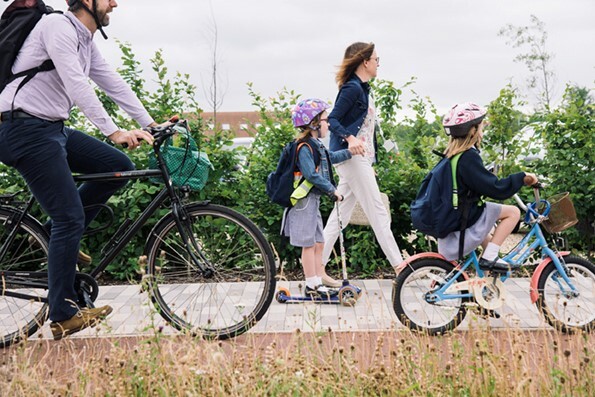 It is called Eddington – named after the astronomer and mathematician Sir Arthur Eddington – and throw a stick along any one of its leafy, bicycle friendly avenues, and the chances are you’ll hit a future Nobel Prize winner on the way back from a lecture. The question is, where is everyone who works in this burgeoning economic bubble, going to live? Athena is a brand new and highly ambitious, large scale urban development that joins up the values and aspirations of modern architecture and design with the history and culture of this contradictory city. Don’t go thinking this is some quick-fix for housing pressure, nor is it a way for some dubious corporation to make some fast bucks out of some disorientated and homesick students; these are seriously well thought-out homes that speak to the very highest standards of sustainability, efficiency, and beauty. 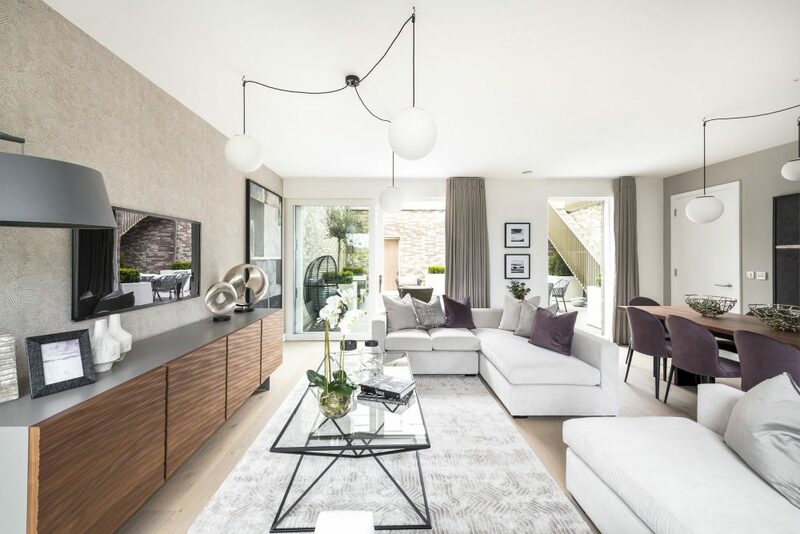 The town houses, mews, and apartments that comprise the varied street plan, are robustly built, triple-glazed, solar-panelled, water-recycling, masterpieces of design. Each has its own outside space, multiple aspects and full height windows flood each property with natural light. There is district heating and hot water system that is energy efficient, and rainwater is harvested and filtered by natural reed beds and returned for domestic use in washing machines and for toilet flushing. 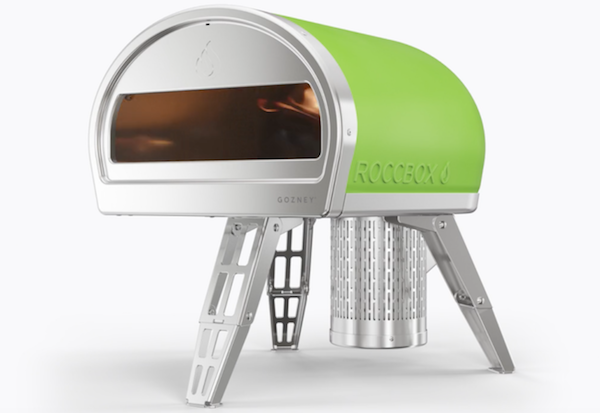 These are the kinds of things that hipsters with the bushiest of beards and the keenest environmental conscience could only have dreamed of a few years ago. 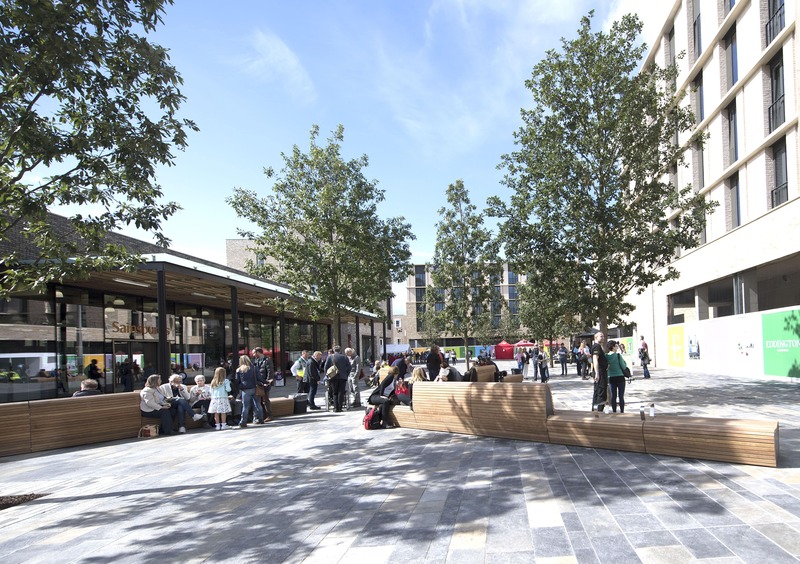 Eddington is conceived as an integrated and responsible community: it has green spaces, play areas; it has its own market square with shops and amenities to come. It even has its own school, the University of Cambridge Primary School which has recently been rated as outstanding by Ofsted. Which 8 year old wouldn’t want that on their CV? 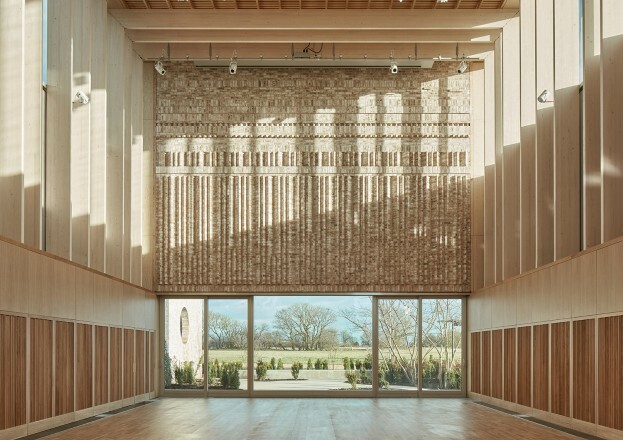 Eddington also has it’s own performing arts centre (and yes, it runs yoga classes) Storey’s Field Centre which has just won a coveted RIBA East Sustainability Award and is shortlisted for this year’s Stirling Prize – impressive, no? Cars? What cars? This could be a deal breaker for the petrol heads amongst you, but this is a community that has walking and cycling as the priority traffic. It links to the City with secure bike-paths, or to buses, which make car travel almost redundant. Which is no bad thing, as attempting to drive around Cambridge in a car powered by petroleum is becoming like a throwback to a lost era when people had heard of Jeremy Clarkson. 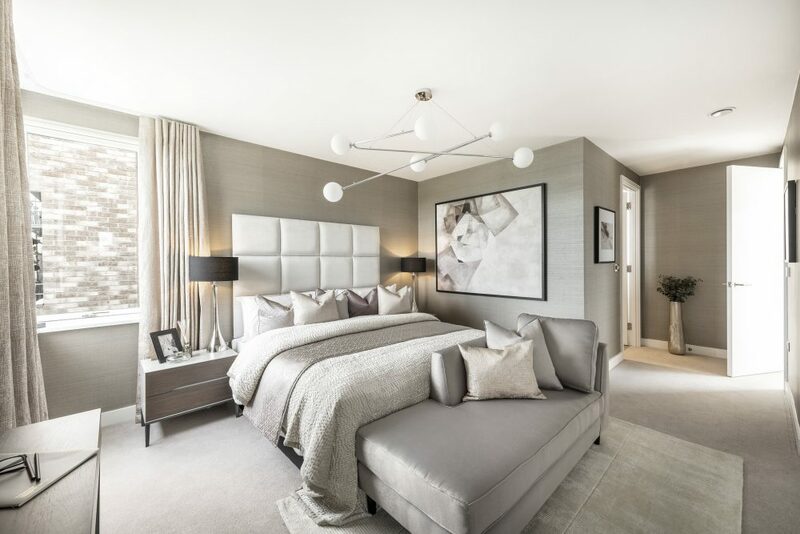 Going totally car-free, whilst aspirational, is still a little way off in our future, and thankfully Athena homes come with their own parking spaces as standard. Phew, no need to fit the hockey sticks, rugby kits and picnic hampers in the bicycle basket just yet then. For those that actually like living and working in their homes, in preference to showing off about how small their carbon footprint is, there is yet more to be impressed with. There is no expense spared when it comes to the finish and creature comfort of these homes. Bespoke kitchens with integrated appliances; en-suites, dressing rooms, underfloor heating-everything is clean, chic, minimalistic, USB ready, and fit for 21st century life. 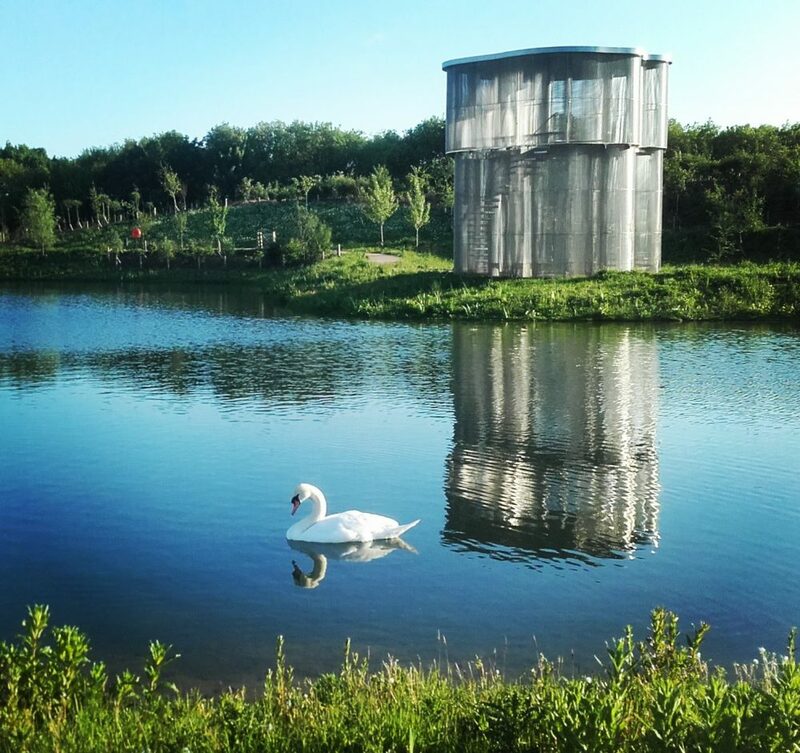 If you haven’t visited Eddington and Athena yet, just go and explore, you might be pleasantly surprised.